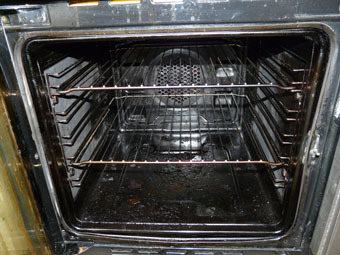 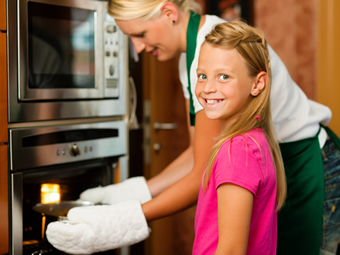 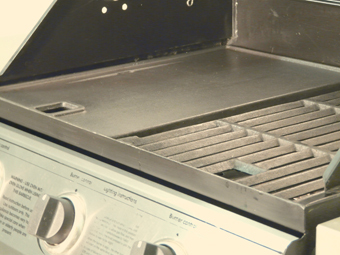 Why trust us as your professional oven cleaning company? 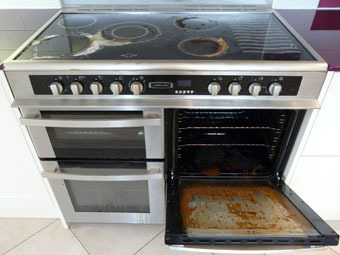 There are lots of oven clean companies who will all tell you they are the best oven cleaner – so which professional cooker cleaning company should you trust in your home? 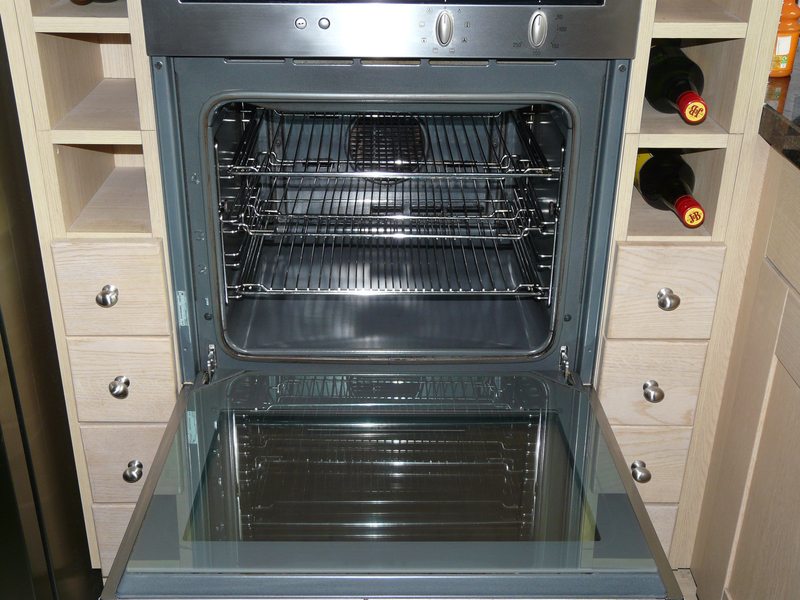 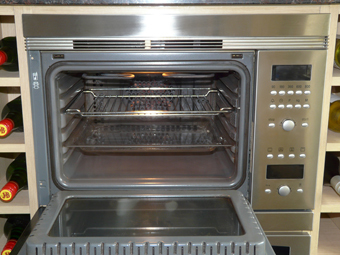 We have experience of cleaning ovens going back to 2004 – since then our operators have cleaned more than 25000 ovens! 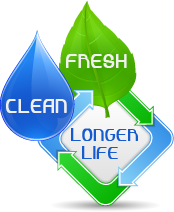 The equipment, processes and cleaning solutions we use are the result of this experience and know how. 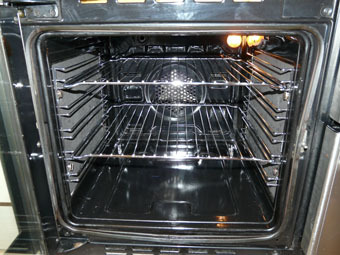 The following is our ‘quick guide’ to oven cleaning and the various processes – together with our handy comparison chart you can be sure you’ve made the right choice using A Brighter Home as your oven cleaners. 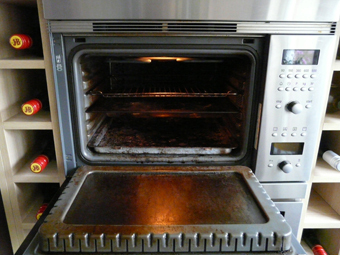 effective at breaking down carbon – although we use steam cleaning for some of our other services such as fridge and freezer cleaning, we do not use it to ovenclean for this reason. 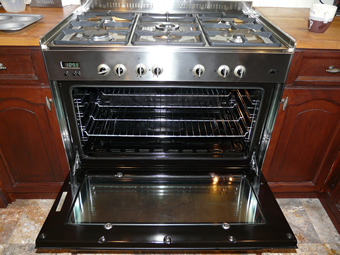 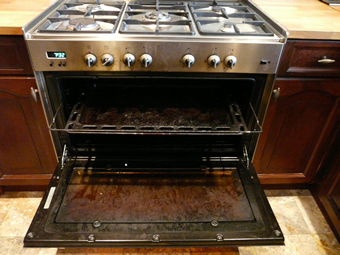 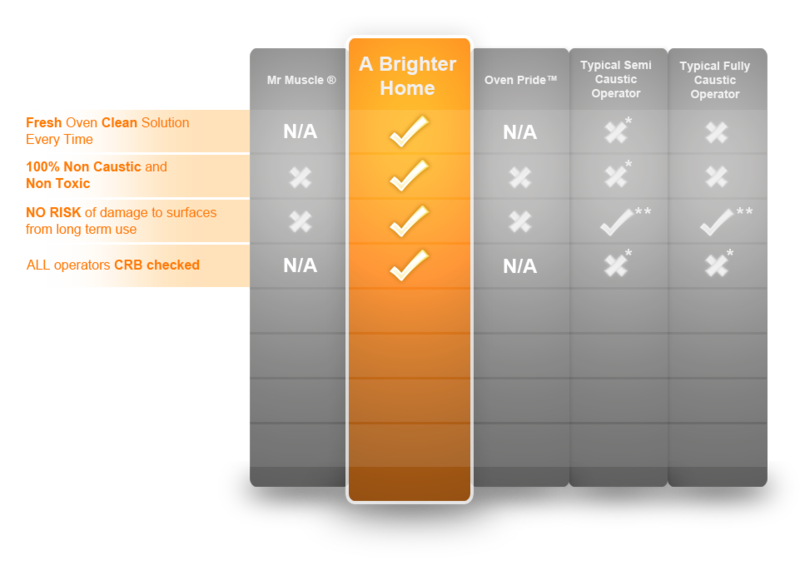 Because of the problems that caustic oven cleaners cause, A Brighter Home choose not to use them. 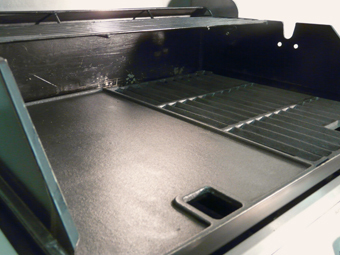 However, please be aware that because caustics are still considered so effective, many other oven cleaning companies use caustic solutions in their van dip tanks to clean your oven racks, trays etc. 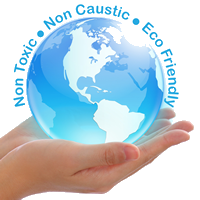 Their marketing will be worded very carefully to say that no caustic products are used in your home. 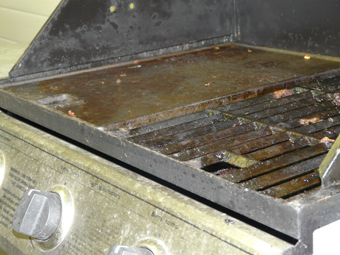 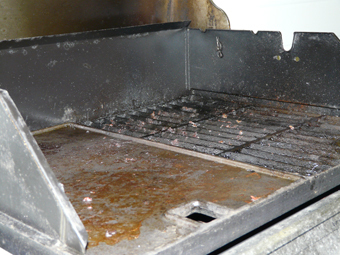 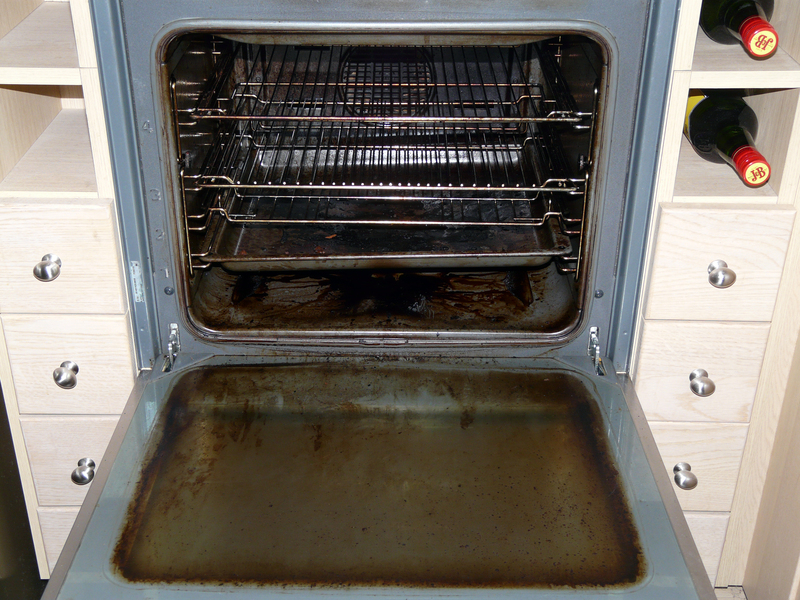 What many customers don’t realise is that these companies re-use this caustic solution for several weeks at a time – meaning that your oven racks and trays could be being cleaned in dirty solution made up of other people’s dirt and grease! 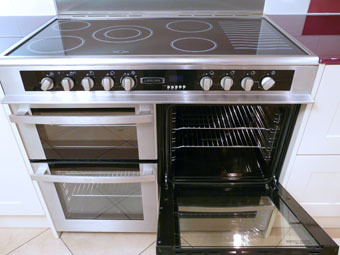 • Beware! 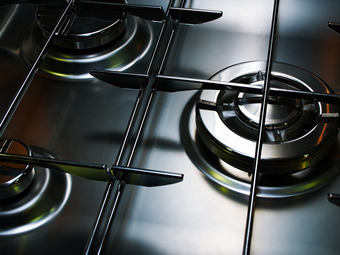 It says it is safe for use on stainless steel but it has discoloured and ruined the stainless steel front panel of my hob. 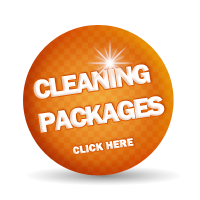 I will be writing to complain with photos.